It’s 9 AM. Jeff and our friend Tim are having dude coffee talk, and I am in the backyard, rigging a tripod out of an overturned wooden table. The sun keeps slipping through the clouds. We are 11 hours from home, and while I love visiting Savannah, I long to just be in my bed, hug my cat, hide out for a few days before going back to work. 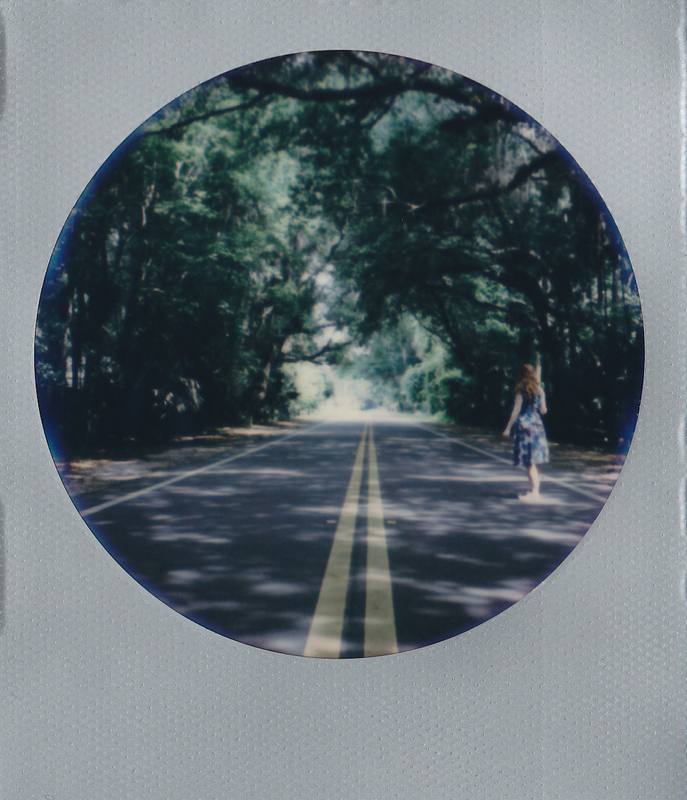 Savannah, though, is good to us. The night before, we ate BBQ ribs at Johnny Harris, and then bought a dozen Krispy Kremes with $10 that Jeff found on the ground. We visited Tybee Island, and later, walked to get drinks in the rain. I got a little tipsy, and this morning, find blurry night photos on my iPhone. I wanted to capture the soft darkness, the way the lamp lights glowed across a tiny square like something out of a film. I erase them. 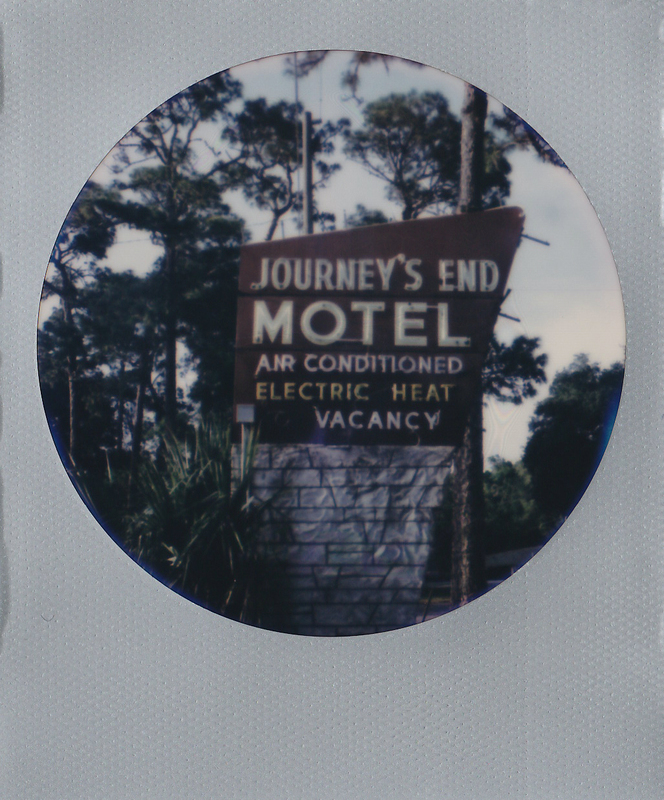 I flip through the instant shots I have taken on this trip, brush donut crumbs off the edge of a frame. It is mind-numbing and surreal, driving 16 hours from home. We take one suitcase, one bag of cameras and film, a snack-filled cooler. We make a playlist (mostly Steely Dan this time, which Jeff calls his “prescription from Dr. Wu”). We play road games, the alphabet one being a favorite (“Name a band that starts with _”). There is lots of excitement in the beginning of the drive – adventure awaits! – then time rolls on, and we’re hungry. Tired, cranky, we bicker over directions. There are breaks at scenic highway overlooks and creepy little mom-and-pops selling crushed Twinkies. State by state we shed layers of clothing to accommodate the heat. We are confused, we are lost, we laugh at the dumbest things. When we reach Ocala, I roll down the window and cup my hand to feel the outside humidity. 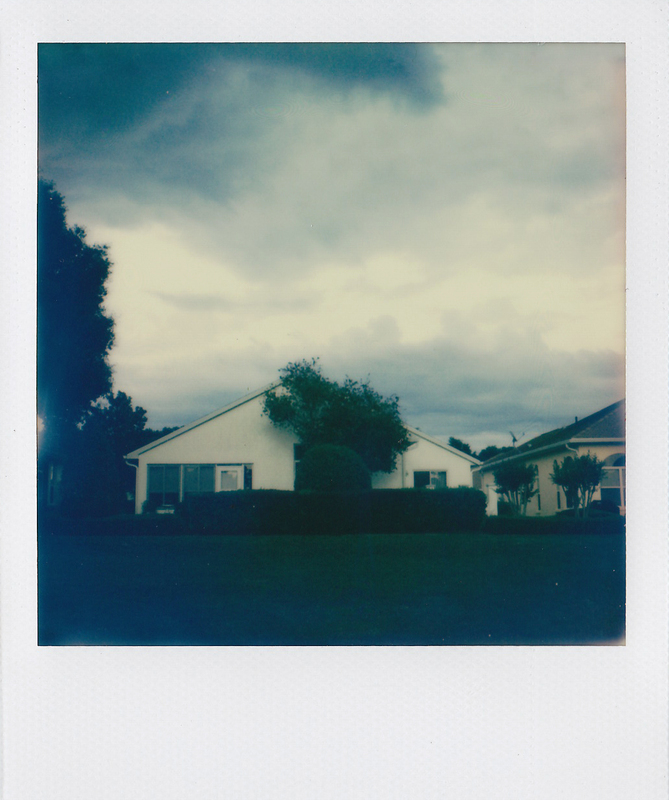 It’s one of the few places where I’ve watched it rain on only one side of the road – dark clouds competing with the sun. 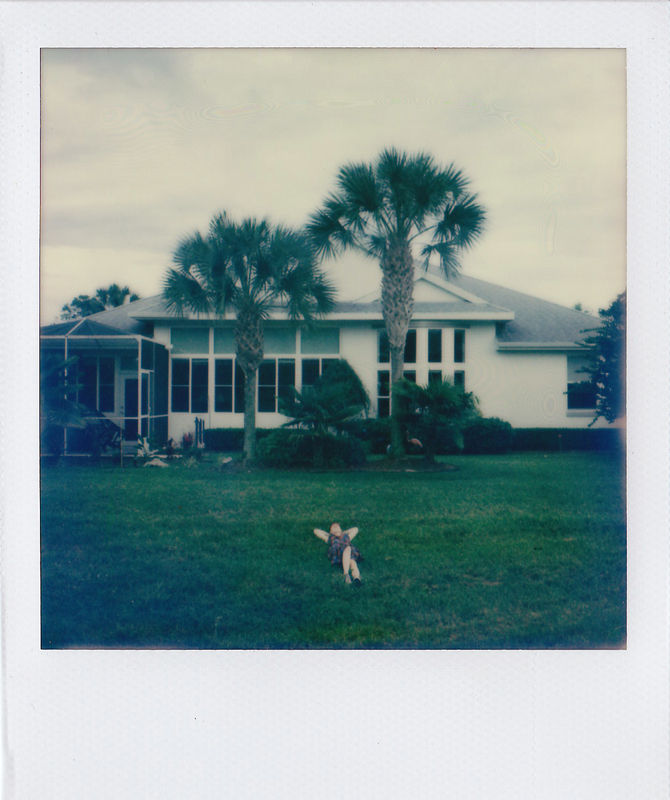 Today starts Polaroid Week and I thought I’d share photos from our recent Florida road trip: two per day for the next five days. I took these two along US 301, the Mother Road of the South. This was the first time in our history of traveling there that our GPS went wonky; we drove in seeming circles, our navigation system winding us off highways through the beaten tracks. Lightening shot through the skies, illuminating the rolling green land where horses grazed under canopies of Spanish moss. There was that fresh-cut grass smell permeating the car as I rolled down the windows, and a sound I haven’t heard since summer: the hum of crickets.